1. All departments(1), degree-granting graduate fields, and centers(2) will be reviewed once every five to ten years(3). Whenever possible, fields and centers that can be associated with a department will be reviewed with that department. Where the interdisciplinary nature of the field or center(4) makes combined reviews unfeasible, independent field and center reviews will be carried out. 2. The college deans(5) will be responsible for the unit reviews with support provided by the provost, if requested. A departmental review will consist of two phases: a self- study by the department faculty and an evaluation by an ad-hoc evaluation committee. The department will find appropriate mechanisms to involve a broad spectrum of students in the self-study. d) A plan for the next five to ten years, including staffing and resource allocation, and its relationship to the fiscal guidelines supplied by the dean. The self-study need not be a long or time-consuming process. Thorough and comprehensive annual reviews should provide the necessary background and framework for the study. Additional university-wide review criteria and required information may be specified by the Faculty Committee on Program Review (see paragraph 3). Examples of possible criteria are given in Appendix A. Every effort will be made to ensure that the University’s administrative systems will provide the required quantitative data automatically. When the self-study is complete the department will forward a copy of both to the dean and the FCPR. 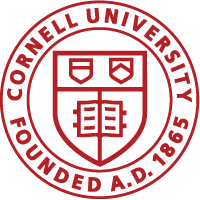 The ad-hoc evaluation committee will consist of at least three specialists in the field from outside of Cornell6. The dean will form the committee after consultation with the faculty of the department under review. The committee will be asked to evaluate the department’s principal activities, to compare it with leading departments in other universities, to assess its trajectory, and to recommend whatever changes the committee believes are appropriate, under the assumption of constant resources. The committee’s activities should include separate meetings with both non-tenured faculty and students. Within six weeks of the review, the committee will report to the dean. The dean will discuss the report with the department chair and faculty. The dean and department will prepare and exchange independent responses to the review that will include specific plans of action. The dean will send the report and the two replies to the Provost and the FCPR. The travel, subsistence, and honorarium expenses for the external members of the ad- hoc evaluation committee will be provided by the Provost. c. Commissioning reviews of selected centers, fields, and cross-departmental groupings to be carried out by the Dean of the Graduate School, the Vice- President for Research and Advanced Studies, or a college dean. Departments or other units being reviewed may approach the FCPR directly at any time. 4. Area Reviews: Each year, the Faculty Committee on Program Review will organize a review of a broad area of scholarship. The areas should be broad enough so that a seven year cycle touches a significant part of the University’s instructional, research and outreach activities. Wherever possible, the Area Reviews will be carried out by Area Review Committees, whose members will be drawn from the ad-hoc evaluation In addition, selected alumni with expertise in the area may be included. The Provost will appoint the Area Review Committees and construct their charge. In the Area Review process, the relationship between the Provost and the Faculty Committee on Program Review will be parallel and similar to the relationship between a college dean and the Faculty Committee on Program Review. Departments and units included in area reviews will also be consulted by the Provost in planning and executing these reviews. The ILR, Hotel, Law, and JGSM Schools, as well as sections in the Division of Biological Sciences (DBS), will be treated as departments. 2 ) “Centers” as used in this document includes institutes, programs, and laboratories. 3 ) The frequency of reviews will depend on various factors, such as external mandates, the scheduling of Area Reviews, and the urgency as perceived by the dean and the FCPR. 4 ) The Dean of the Graduate School estimates that there are ten such fields. The Vice President for Research estimates that there are nine such centers. Fields and centers being reviewed independently will be referred to as “departments” in this document. 5) In DBS, the “dean” will be the Director of Biological Sciences and the deans contributing to the section acting together. For independent field and center reviews, the Dean of the Graduate School and the Vice President for Research will respectively have the responsibility for the review. 6) None of the members of the evaluation committee can have a significant ongoing relationship with the work of the department. Adopted as amended by the Faculty Senate, September 18, 1996, Records, pp. 7722-35S, Attachment 1. Amended by the Faculty Senate, September 8 1999, records, pp.